The following Mexico immigration information is provided as a resource for our readers and will be updated periodically as policy and changes are made and brought to our attention. As with any government rules they can be dynamic in nature when it comes to implementation and timing. As of April, 2016, we believe the information we provide here is correct. We have also provided some additional links to other resources at the bottom of this page. Before you get too far along please read these quick tips prior to starting any process through the Mexico Institute of National Immigration INM website. Do not click on the “English” option at the top of the page because that will take you to the “Home” page which is the only page with the English option. We suggest using Google Translate which does a nice job of making the form and instructions usable for English-speakers. Then fill in your personal information into the rest of the form. If you have no CURP, then INM will assign you one later. If you are a current “Temporal Residente” holder, you have your CURP listed on your current INM card. Before filling out the rest of your personal information, you are offered “Conozco mi NUE” or “I know my NUE ” , the official number listed on your current FM3 card. If any of your personal data has changed, do not choose this option. Apellido: Your last name exactly as listed on your passport. Nombre(s): Your given name(s) exactly as listed on your passport. Fecha de Nacimiento: Birth date. Estado Civil Actual: Casado = Married, Soltero = Single, Viuda = Widow etc. Nacionalidad actual: Country of a your current passport. Pais de expedición: Country you left from. Click “Guardar” after checking that all your entries are correct. A PDF file of your completed data form will be offered for you to save, print, and take a copy with you to to the INM office. IF you have not previously had an extended immigration status in Mexico, like a FM2 or FM3, which are now discontinued; both changed to Temporal Resident Visa, you MUST begin your temporal or permanente application process through a Mexican consulate in your home country. You cannot apply within Mexico with a tourist visa. Click HERE to find a Mexican consulate nearest where you currently reside in the U.S. or Canada. The first status category is “Visitante”. This status encompasses non-working visitors (a typical tourist), working visitors, visitors for adoptions and humanitarians. It’s valid for 180 days. These permits will still be handed out from the airlines, ship, or at the border. It’s important to keep your tourist visa with your passport. If a tourist wants to upgrade their status to Residente Temporal or Residente Permanente, they will have to leave the country after 180 days and apply from their home country. INM has released the new regulations to explain how tourists can begin the residency application process by applying online or at their Mexican Consulate. The second status category is “Residente Temporal”. With this status, temporary residents may enter and leave the country as many times as they like. Obtaining a work visa is possible and there is a 4 year limit. Foreigners who have obtained this status meet qualification characteristics such as their profession and financial status that would benefit Mexican citizens as a whole. As you apply from the U.S. or Canadian Consulate, you will get a sticker in your passport but the actual Residente Temporal Visa is issued in Mexico. Your temporary travel permit is good for 30 days from the day you cross the border. Once in Mexico, you must appear at your local IMN office and finish the application process. Every Consulate is different, so gather and provide as much documentation as you can at home first. As a precaution against having to make a second or third trip to INM office, we suggest having two copies of everything. DO NOT expect the Immigration office to make copies of anything, you must provide your own photo copies of all documents requested. Completed INM form printed on one page, double sided, properly completed and signed. A letter in Spanish stating your reasons for wanting to live in Mexico along with your request for a Residente Temporal or a Residente Permanente Visa. 12 months of current bank statements showing approximately $2000 USD monthly income for an individual or approximately $3,000.00 for a couple (Some consulates ask these bank statements be translated into Spanish) and add 25% more for each additional dependent family member. 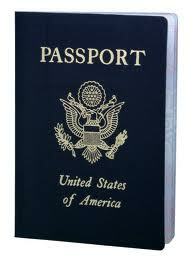 Consular visa fee, in cash, of $36.00 Dollars (or more) applicable to some nationalities. Exchange students, researchers, and educators make up the third status category of “Residente Temporal Estudiante”. The fourth status is “Residente Permanente” and means you have “No Immigrant” status. With this status you may stay in the country indefinitely, you have the right to work, and you do not have to renew your status. Permanent residency can be granted after 4 years of Temporary Residency or may be applied for immediately if you meet the criteria. Provide Documentation of Proof of Financial Independence by Average Bank Balance: Provide 12 months of original bank statements (plus copies) as proof of income or savings/investments, to show equivalent to twenty five thousand days of the general minimum wage in the District Federal for the previous twelve months. The average monthly balance of about $125,000 USD (exactly $2,125,000 pesos) at $17:1 MXN:USD. Using Method of Regular Deposits of Income or Pension Receipts: Have a minimum monthly investment account or work income deposits or pension deposits that are the equivalent of five hundred days worth of the current minimum wage in the Federal District, for each of the previous six months – with original and copies of original bank statement. This translates to about $2,500 USD (exactly $42,500 pesos) a month of regular deposits. Some INM offices are reducing the monthly income or pension deposit requirements by 1/2 for applicants who own property in Mexico. Many INM offices are requiring applicant spouses to have bank statements and/or property listed in the spouse’s name. One work-around for this: Have the primary applicant (the person whose name is on the accounts and real estate) get approved first, then have the spouse/dependent file a subsequent application as a family member of the primary Residente Permanente. Residents may also gain Permanent residency through 2 years of marriage or a common law relationship with a Mexican citizen. However, permanent residency also depends on the applicant successfully completing 2 years of temporary residency concurrent with the marriage. Some Foreigners will also be able to apply for permanent residency through a point system. If an applicant has enough points based on level of education, work experience, skills in the development of science and technology, international surveys, and other professional areas, they may apply for permanent residency before the 4 years is up. There isn’t much documentation regarding the point system for residency yet. The daily minimum wage increase in Mexico went into effect as of January 1, 2015, it is valid for the whole country and is now $73.04 pesos. (approximately US $ 4.29), so 400 times that is $29,216 pesos, or $1,719.00 dollars at an exchange rate of 17 pesos to the dollar. This amount is increased by 50% for each dependent. A married couple applying for the new Residente Temporal visa are required to have a minimum monthly income of approximately $3,000.00. An applicant for Residente Permanente must show either the same 20,000 days minimum wage in investments (20,000 days minimum wage is 1,460,800 pesos, or $85,929.41dollars) or a monthly employment or pension income of 500 times the minimum wage. That would be $2,149.00 dollars per month of income. 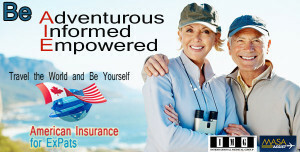 Married couples qualifying income is approximately $2,500 US per month for temporal and $3,350 for permanente. *These income requirements were last updated through the INM website March, 2014. Since that time we have not found more current information about income requirements. Income requirements are no longer posted in the INM website. After the first time application, proof of income and residency will no longer be required for the following three years or until your renewal date (if less than 4 years). Instead, what is required is a letter signed by the visa holder that all information on the original application is still valid. There will be no renewals required of a permanent visa card and it will allow working. What is the difference between Temporal and Permanente? Temporal is good for up to four years with a fee for each year (payable each year, or in any combination, or as a one-time fee). After four years on a Temporal Visa, you must change to a Permanente. Permanente permits you to live in Mexico indefinitely with a one-time fee, after four years residence. What are the time options for each visa? Changing from an FM visa to a Permanente (or Temporal) can be done in Mexico? Yes, if you have had an FM2 or 3 for 4 years. What are the income requirements when dealing with a husband and a wife, and/or family? On, combined incomes? It can be if you want; for instance, if only one of you has the basic qualifying income, or account balance.To include a spouse, or any other qualifying family member, you add 100 to the number of days required for the valid Residente visa – per person. You will also need documentation proving the relationship (i.e., an apostilled marriage license).To add your spouse to your Residente Temporal, you add 100 to the 400 days of FDMW. So, for you to qualify as a couple, you need 500 days of FDMW or, $33,645 MXN, or $3000 USD income per month.For all other purposes, a “family” visa adjunct is treated individually.